A science teacher, while teaching the modern periodic table asked her students to redesign it. To her surprise the students designed beautiful periodic tables in different models. A math teacher asked her students to come up with ideas for depicting arithmetic progression. Her students surprised her with varied informative designs. If you give them the right kind of stimulus, students can produce the most amazing work. Creativity, it was once believed, was the prerogative of the genius. But not anymore. Today, it is believed that each of us is creative in our own way. Proper education, appropriate opportunities for creative expression, encouragement provided by parents and teachers all contribute to how this creativity is expressed. Unfortunately, our education system is built on our ability to memorize. There is very little scope for nurturing creativity in students. The development of any nation relies on the number of creative people it has. Thus creativity in students needs to be identified and encouraged. If creativity is promoted it will flourish. If it is neglected it will fade away. The goal of schooling should be to promote creativity along with knowledge. Every classroom has children with different cognitive levels, yet we treat them all the same. There will be students good in academics, sports, arts, performing arts, literature, etc., but we look at all of them through the same lens. Parents and teachers have to identify the varied innate talents in these students and encourage them to excel in their areas of interest and grow into productive citizens. A major component of creativity is divergent thinking, or the thinking process involved in generating alternative ideas to solve a problem. If we want to know or instill creative thinking in students we can give them tasks like writing a poem on a given topic, give a different conclusion to a story, add stanzas to a poem, debate on various topics, etc. Such tasks will help identify students who have an edge in languages. Similarly, in subjects like maths, if students give different solutions to a sum other than the one explained by the teacher, they must be appreciated and encouraged thereby expanding their creative thinking. In science, solutions given to application based questions and encouragement given to finding solutions to problems like traffic management, pollution, etc., will show the creative work of the students. In social studies, students can be encouraged to design party manifestos to give better ideas for the implementation of schemes introduced by the government, find pros and cons of decisions taken by the government, etc. Questioning instills critical thinking and imagination in students and contributes towards creativity. A barrier to creative writing or thinking is premature criticism, which may stop the creative flow. Teachers should understand that every child is talented and has to be encouraged to enlighten the latent talents and give scope for betterment and excellence. At various stages in school life, students can be encouraged to discuss how they can translate their inner experiences and impressions into concrete art products. Parents and teachers should not impose their own set of standards on the children, which will be a barrier to artistic production. There is a definite need to encourage children to express their ideas freely and provide them with an atmosphere that is free from the fear of failure. In the perspective of evolution, creativity is to seek new ideas and solutions from old ones. In workshops or teacher training programmes, teachers may be asked to think and come up with ideas to teach the same concept in different ways to have a clear and easy understanding. We can ask students to teach some lessons to gain new perspective on teaching a particular topic. All of us are naturally creative, but do not possess the same creative ability. Creativity is the result of unusual thinking, of perceiving the world in unique ways. When compared with adults, children are more creative, as they do not possess preconceived notions and freely express their thoughts. In the case of adults, creativity has too often been suppressed by education, but it is still there and can be reawakened. Hence, teachers and parents play a vital role in awakening the creativity in children. Teachers must encourage students’ curiosity by accepting their unusual questions and help foster creativity. 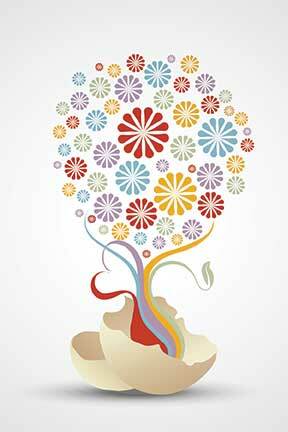 Brainstorming is another activity that provides a platform for individual creative thoughts. Each member is encouraged to think outside the box to generate new solutions. The present generation unlike the older generation has more smart workers than hard workers. The important thing here is that the teacher should display his/her own originality in the classroom or else creativity cannot be fostered. The world needs people who are flexible and can adapt to constant changes, be creative to survive in adverse situations rather than follow a traditional career path. The growth and development of a country requires creative solutions to problems. We know of suggestion boxes, similarly we should also have “mind spark” boxes where students and teachers can drop innovative or creative ideas to make everyday functioning of the school smooth. Creative classrooms are not made differently, they are regular classrooms, where students are encouraged to express and appreciate ideas, both the good and not so good, as what is more important here is that we retain their curiosity, and involvement. The teacher should also plan different strategies of teaching to satisfy various students in a classroom. The author is the HOD of the science department at Delhi Public School, Secunderabad apart from being the Academic coordinator there. She has been teaching secondary science for the past 19 years. She is also a write and has received teaching awards. She can be reached at sulekhanayani@gmail.com.